100% extra stiff grey china hog bristle. Nickel plated ferrule. 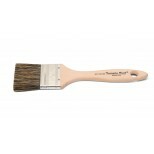 A better quality brush for all around general use. 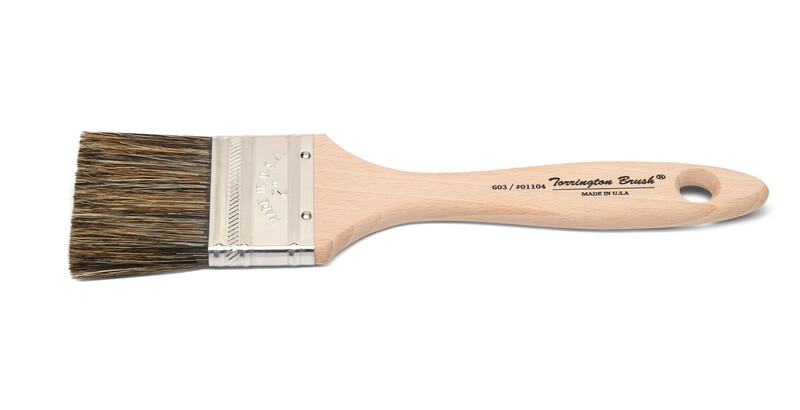 Also an excellent quality chip brush. Epoxy set for solvent resistance. This product contains a wood handle. Handcrafted in the USA. 01102 1" 5/16" 1 5/8"
01103 1 1/2" 5/16" 1 5/8"
01104 2" 5/16" 1 5/8"
01105 2 1/2" 3/8" 1 3/4"
01106 3" 3/8" 1 3/4"